The ATX-powered AJA Corvid HEVC Video Encoder Card is a PCIe 2.0 8-lane card offering real-time, low-latency HEVC encoding at up to DCI 4K/59.94 resolution. The card features four 3G-SDI inputs supporting 16-channel, 24-bit embedded audio. 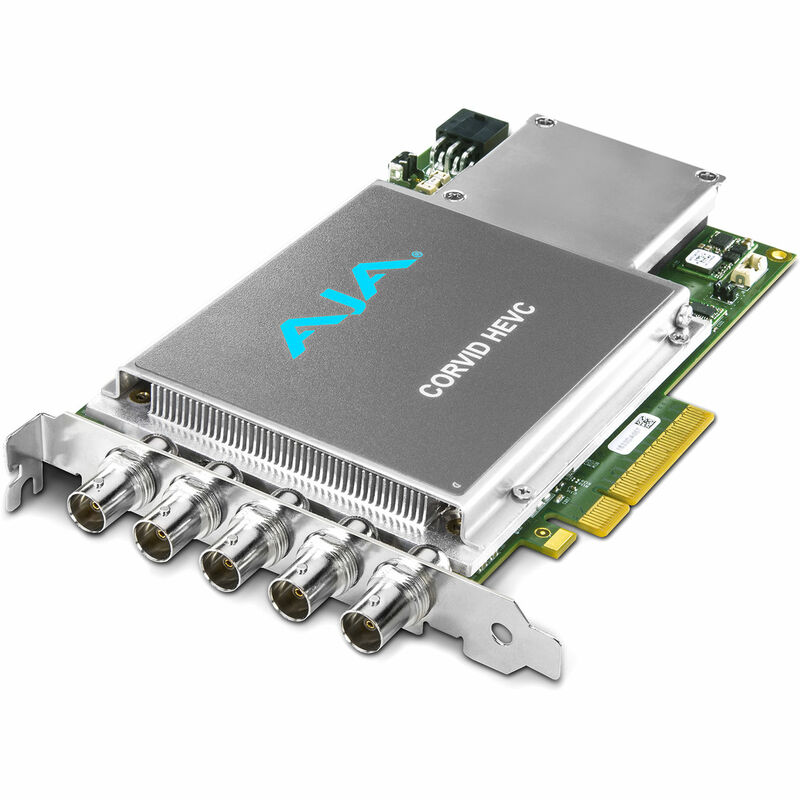 Using AJA's SDK, developers can integrate the card directly into Windows and Linux applications using a flexible API. The ATX-powered version requires ATX 6-pin power from a computer's power supply.